November 6th, 2009 01:01 AM | by William Bell | Eschatology. How do we understand eschatology versus teleology? Eschatology focuses on the end of prophetic events. It relates to what is temporal. The word means the study of last things. In this definition, the judgment, the resurrection, the parousia, and the end of the world comes to mind. Teleology is the study of ultimate purpose or design. To help one understand the difference, you may ask? What is the ultimate pupose of bringing all things to an end? The answer to that question is teleological. For some, eschatology means an end to time, life on the planet, and opportunities for salvation. This view fails to understand both eschatology and teleology. Peter writes, Receiving the end of your faith, even the salvation of your souls.” (1 Peter 1:9). How Do We Understand Eschatology Vs Teleology? In this statement we have both an eschatology, the completion of faith in Christ which was consummated at the time of the end. “(But the end of all things is at hand,” (1 Peter 4:7). However, the ultimate purpose brought about salvation. In like manner, we read, that Christ appeared a second time apart from sin for salvation, Hebrews 9:28 . 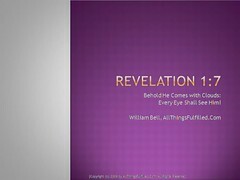 Again, Christ’s appearing fulfilled eschatology. The result of that appearing, salvation belongs to teleology. The inability of some to distinguish between the two creates both curiosity and confusion. Such is the case when studying the millennium. Some make the 1000 years reign teleological. In other words, it becomes the ultimate result or purpose of eschatology. Rather, it is eschatological in that it has a terminus. In other words, the millennium ends. That being the case, there must be some ultimate design or purpose of the millennium. When we consider the three termnus points for the millennium, we likewise see the ultimate purpose. First, the millennium ends the dominion of Satan. God shortly crushed Satan under the feet of the first century church. (Romans 16:20). Revelation 20:1-3, 10. affirms that following the 1000 years binding of Satan and the “little season” which followed, he is “cast into the lake of fire.” This figurative symbol means the total destruction of Satanic power. Secondly, the millennium ends with the destruction of the old heaven and earth, (Revelation 20:11). In connection with the passing of heaven and earth, Christ said his word would never pass away, (Matthew 24:35). Thirdly, the millennium ends the resurrection, (Revelation 20:4-6). Therefore, the telelogical design of the millennium brings man to a world free from the condemnation of Satan to work through the Law, to a new heaven and earth wherin we access the tree of life, and to life from the dead. Considering subscribing to our monthly audio eschatology studies. « What Is the Second Death in Revelation 20?